WELCOME BACK: We hope that many of you were able to enjoy Spring Break last week and we look forward to seeing you back at the GCW helping out this week as we return to our regular schedule. All of our regular projects are up and running and if you’re looking for an opportunity to help out, we’d love to have you. You can see everything that is happening this week by clicking on the link above. Send us an email if you know something you’d like to help with and we’ll make sure you’re on the schedule. GIVING THANKS FOR CONNIE FITZGERALD: Yesterday, we learned that Connie Fitzgerald, a supporter of the GCW and friend and former colleague of both Kelli and John, passed away. Johnny (the younger), his friend Zach and I were scheduled to go over and do some yardwork at Connie’s this week when we got an email on Friday asking us and others to hold off because of some developments with Connie’s illness. Connie was an early regular at the Breakfast Brigade, long ago when we were baking bread and boiling eggs at Kelli’s house (before we got the Green House at 218), and last year, she helped us to plant and inaugurate the parking lot garden next to our house. She was an extraordinarily kind and giving soul and we’re so grateful for her life and witness. We invite you to remember her, her family and all of our her friends in your prayers. Deepen your spirituality by joining us at 11:15am on Mondays or 6:45am on Fridays for 30 minutes of silent meditation. We begin with a short reflection, practice 20 minutes of centering prayer, and then briefly share any thoughts or comments we might have. 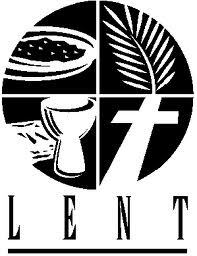 Study scriptures which help orient us during the Lenten season. We’ve been looking at Matthew’s gospel this semester, but we’ll segue into some particularly Lenten passages between now and Easter. Join us on Mondays at noon for an hour of scripture study. Almsgiving is a special Lenten tradition meant to reorient us to the needs of others. Volunteer at the Breakfast Brigade or Dorothy’s Cafe, Art for All or the Coffee Shop and give a little of your time and attention to those whom our society often ignores, marginalizes or oppresses. We are always in need of extra financial help to keep everything going here at the GCW. As part of your Lenten almsgiving, if you’re in a position to do so, consider making a financial gift to help support the work of the GCW. SCHEDULE CHANGE FOR MICRO-FARM WORKDAY: Since our monthly micro-farm workday fell during Spring Break, we rescheduled it for Saturday, March 24. We hope to have a small group gathered to help at the micro-farm between 9am and 3pm (any amount of time you can give would be great!). Lunch will be provided! VISITS GALORE! I don’t know that we have ever had so many visitors at the house as we have this semester. Tamra’s parents and grandparents both visited recently and a number of friends have passed through. But the visits really ratchet up over the next few weeks! We’ll have a full house regularly as we have a number of friends and family members joining us to help out. The visits start with Vicki’s mom this week (make sure to tell her how awesome Vicki is! ), former GCW housemate Kim’s dad will be here next week (ditto on relaying Kim’s awesomeness), Kelli’s son Ben will be home for Spring Break starting later this week with college friend Shizuko in tow, our grandson Riley all next week, and 2 cousins from Texas, Clare and Audrey, spending their Spring Break with us next week too. We’re looking forward to having the extra help but we also really hope that many of our visitors will get to meet all of you, our GCW regulars, and hear a little bit about the incredible things each of you are doing with your lives! So next time you’re at the house, make sure to introduce yourself if you see someone you don’t recognize!